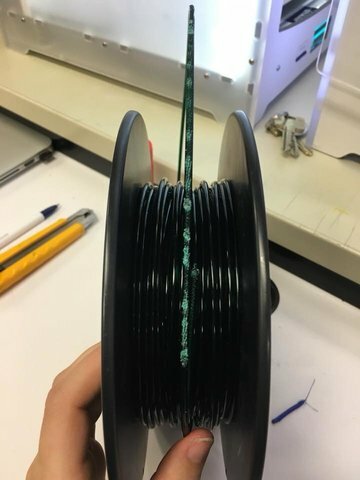 Hi, I've been having real weird problems recently with my ultimaker 2+ that has been printing perfectly fine for over 2 years. The brim of the print is fine, but then, when the object begins to print, the filament doesn't stick to the plate and creates a «broken» layer. I cleaned the extruder and the nozzle, recalibrated the build plate, change the filament but nothing seems to work. The filament also shows a weird grinding pattern. What could the problem be? Had the same problem and tried several different things similar to what you did. Finally I increased the hot end temp from 210 to 225 while it was printing and that seems to have done the trick. I also increased the build plate temp temp to 65 but I dont think this helped. 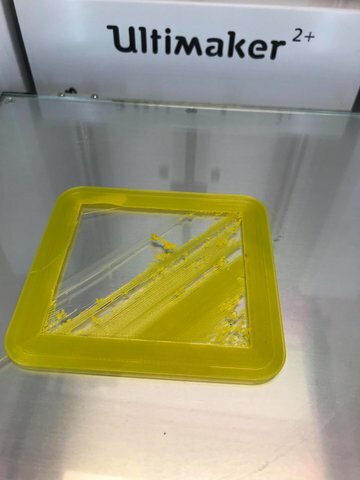 I am using yellow pla. If the nozzle is clean (= if you can look through it from above after an atomic pull), and the feeder knurled wheel is clean, maybe it could be the teflon coupler? Have you checked if this white teflon coupler on the nozzle isn't worn out? On an UM2 (non-plus) this has to be replaced every couple of 100 hours, depending on materials and temperatures used. 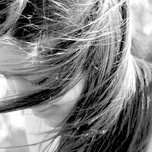 On an UM2+ is should live much longer, but not endlessly. 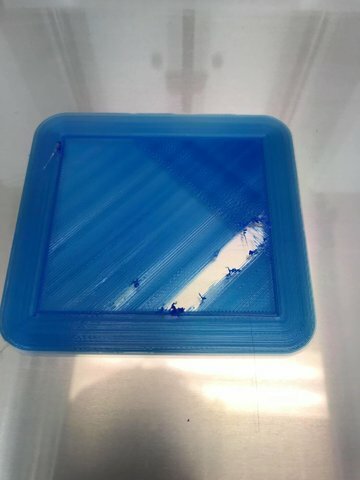 I have this issue with blue PLA.Only it is worse! 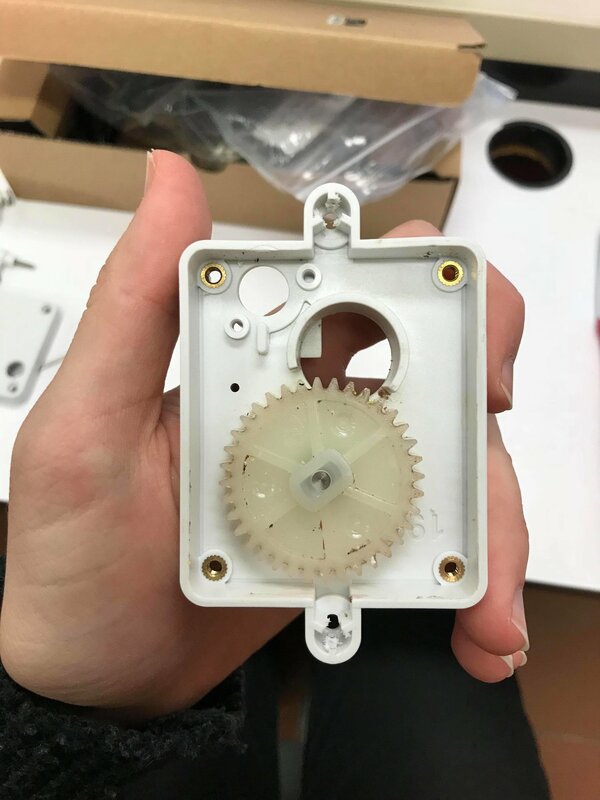 The PLA doesnt stick to the base plate at all and curls up to a large "spaghetti" ball around the extrusion head. Before we where printing with gray PLA that came with the machine without any problems. Tried to apply the glue to the base plate but no improvement. @Porsche1 : do you recommend increasing temperature from 210 to 255 and perhaps decreasing base plate temperature? 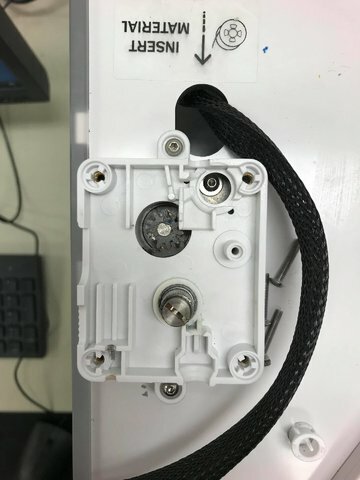 I disassembled the print head to take a look at the teflon coupler and it seemed fine. 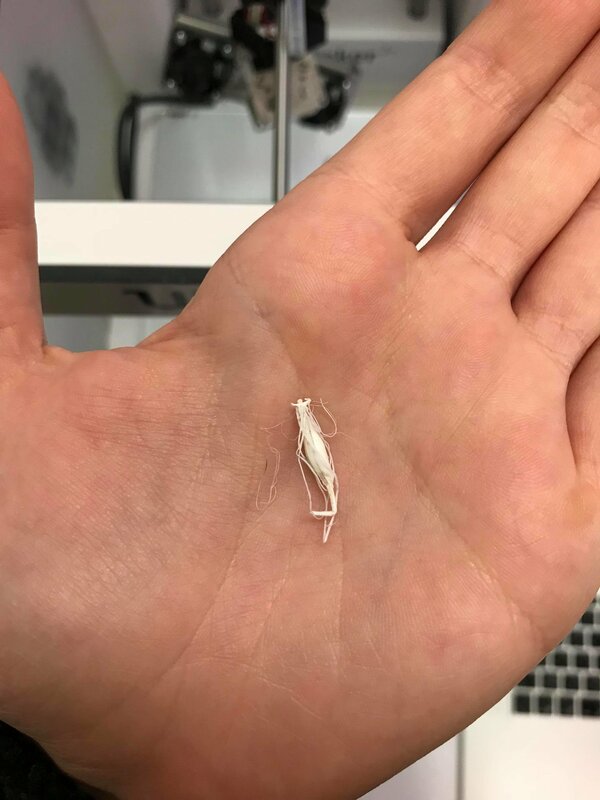 A chunk of plastic came out of the print head while I was doing it, see the picture attached.It maybe had nothing to do with the problem, I didn't really see where it fell from. I cleaned the feeder again. The pictures are from before the cleaning. I did it with a toothbrush and I oiled the mechanism with some magnalube. It wasn't that dirty, but I guessed it helped. 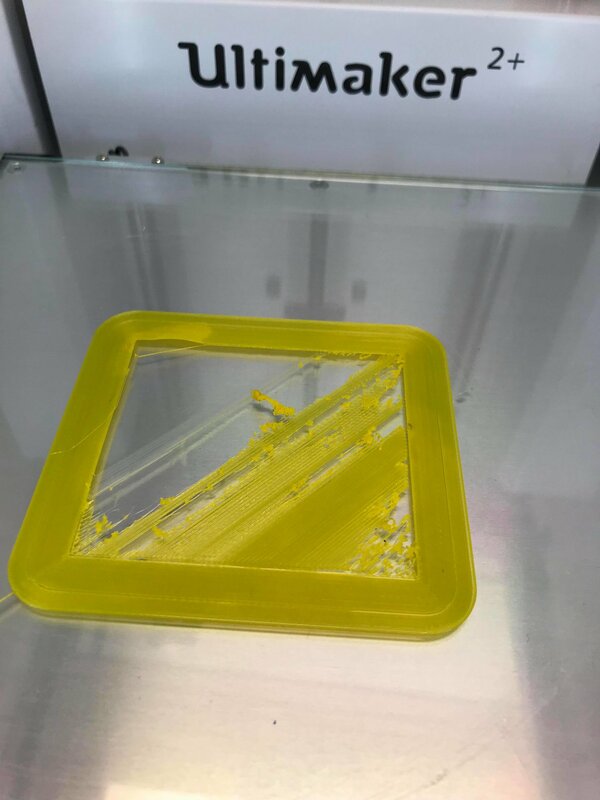 For now, it seems to be printing fine again. This may be a obvious question but you said you cleaned the nozzle and feeder, what about the bed? Have you tried wiping that down with some alcohol? 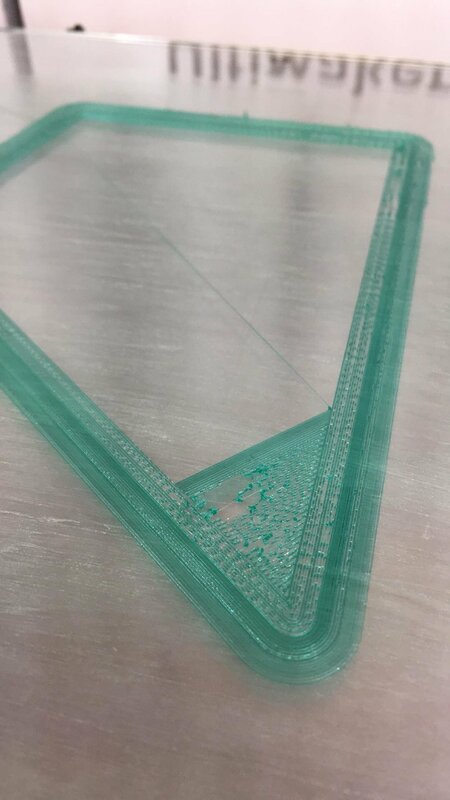 You could have gotten some skin oils or maybe some sort of left over gunk on the bed from filament that is causing a problem like this. No I didn't clean the bed because the bad extrusion wasn't at the same place each time and only began after the brim. 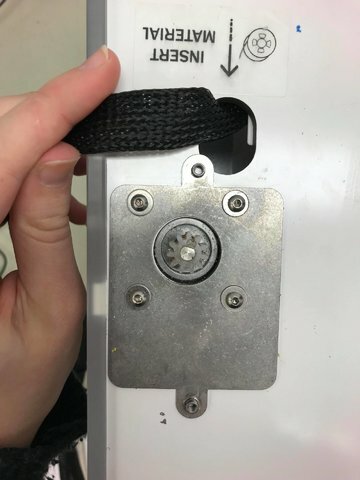 I didn't suspect that it could have been the problem. Alright, so after a few prints, the problem came back. I tried @porsche1 solution and increased the nozzle temperature to 220 'C. For now, it seems to be working fine.